Even if AWA wasn’t a zombie comic, it’d still be a dark little comic. 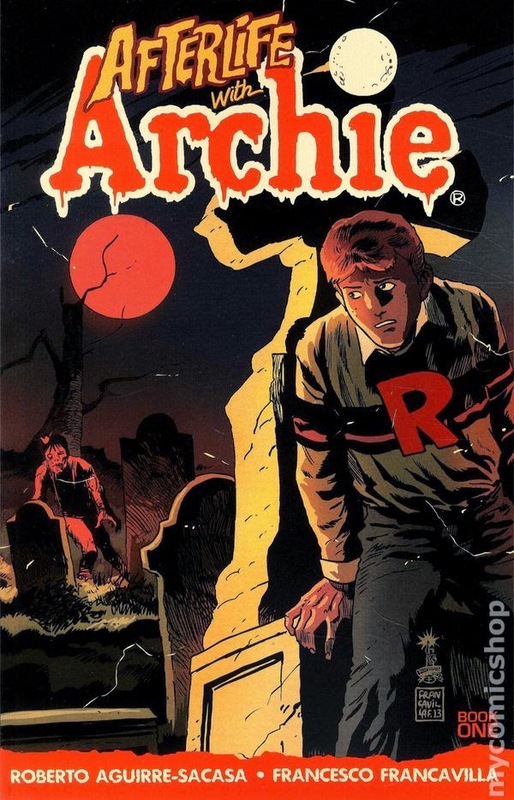 There’s a sinister undertone running through the first five issues that could have been explored even if it didn’t feature an undead apocalypse led by Jughead (who becomes zombified after being bitten by his supernaturally revived dog - shades of Pet Semetary there). All the unpleasant and just plain wrong aspects of the regular Archie universe are amplified here, making Riverdale like a four-colour Twin Peaks. Archie is pursued by Veronica and Betty, two BFFs who spend most of their time abusing and backstabbing each other to a sociopathic degree. 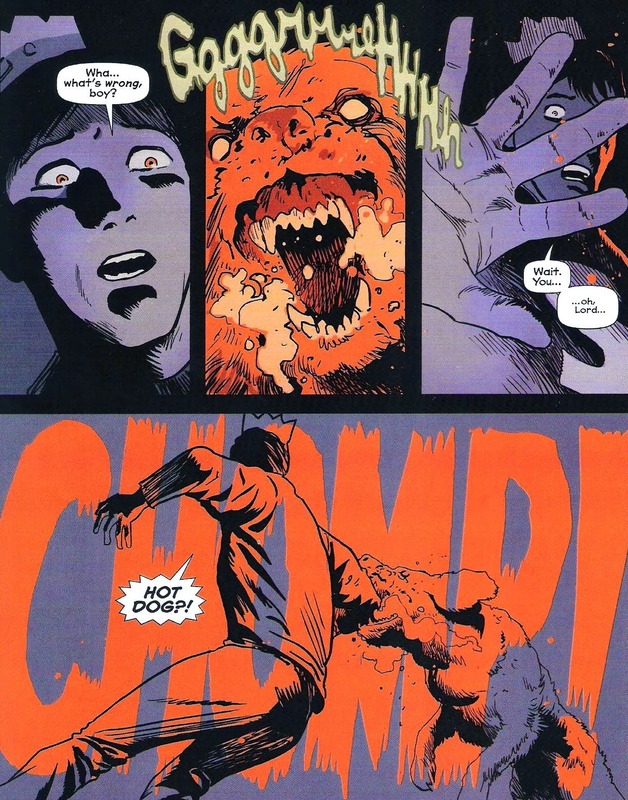 Archie describes Reggie as his “bud”, even though Reggie is clearly a nasty guy (his initial act – killing Jughead’s dog Hot Dog in a hit’n’run – is the catalyst for the mayhem that follows), who later shows himself to be both unhinged and a homophobe. Obviously, Riverdale's only openly homosexual character, Kevin Keller, is here. But there's other psycho-sexual shenanigans on display in the first arc. Chuck's girlfriend Nancy is revealed to be in a secret lesbian relationship with Ginger. Betty and Veronica's rival for Archie's affection, Cheryl Blossom, has the most perverse subplot of all - she's seemingly in an incestuous relationship with twin brother Jason (although this is implied and could merely be Jason's wishful thinking. Even if it's only that, it's still pretty damn sick). 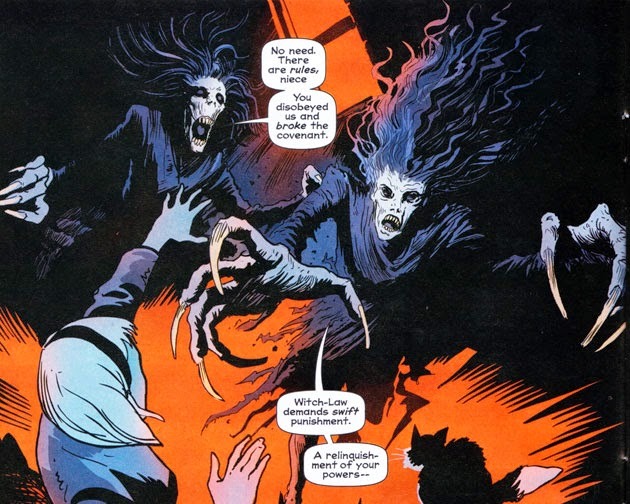 As for Sabrina the Teenage Witch, who uses necromancy to revive Jughead’s beloved pet, she is banished to a netherworld early in the piece as punishment by her two aunties and is unable to reverse or stop the tragedy that soon befalls Riverdale. As for Hilda and Zelda, their true countenances when angered reveal they are more demons than witches. This first arc ends with a motley crew of survivors fleeing a burning Riverdale as the zombie plague spreads throughout America and a somewhat sentient Jughead becomes more than just a crown-wearing buffoon, he’s now King of the Zombies. The best way to follow this series is via the trades as you get to see the dozens of alternative covers drawn by Francavilla, a true artistic find. Even if you’re sick of zombie comics, there’s much to appreciate in this series. But a part of me wishes Sacasa had dropped the whole undead motif and focused on the true sickness that lies festering beneath the surface of Archie Andrews’ world.